Published on Sept. 29, 2017 at 5:12 p.m.
by Mallory McDonald & Hope Todd. Love or hate her, she is here to stay. Over the next few years, her romantic relationships and the breakups that followed made her famous. The music she wrote was inspired by these failed relationships, and the media couldn’t get enough. Fans and critics not only followed her relationships but also waited to hear what music would come to life from them. The different relations she had with other famous artists, such as Harry Styles, Joe Jonas, John Mayer and most recently Calvin Harris and Tom Hiddleston, altered her reputation. Rumors of what happened during and after Swift’s love affairs were constant. When she would drop an album, the speculation of which guy she was referring to in each of the songs became something that people had to know. However, the brand perception people had of Taylor Swift, according to Swift’s new song “Look What You Made Me Do,” is gone. It is almost impossible to be unscathed by drama and feuds in such a competitive industry. Her long-standing rivalries with Kanye West and Katy Perry, along with the media’s portrayal of Swift and her relationships, are speculated to have something to do with this change. Four college-aged women sat in a living room in Tuscaloosa, Alabama, on Aug. 24, 2017. All eyes were glued to their computer screens or iPhones. Seems typical for millennials, right? Maybe … but something much bigger was going on. Why was it such a big deal that she’s back with new music? What’s with the hype? How did we get here? Swift would usually release new albums once every two years. But after her 1989 release in 2014, she took a hiatus from music. Things were quiet. Things went dark. Her name popped up in the news here and there, like releasing her music on Spotify and standing up for women in her symbolic court case. Just no new music. 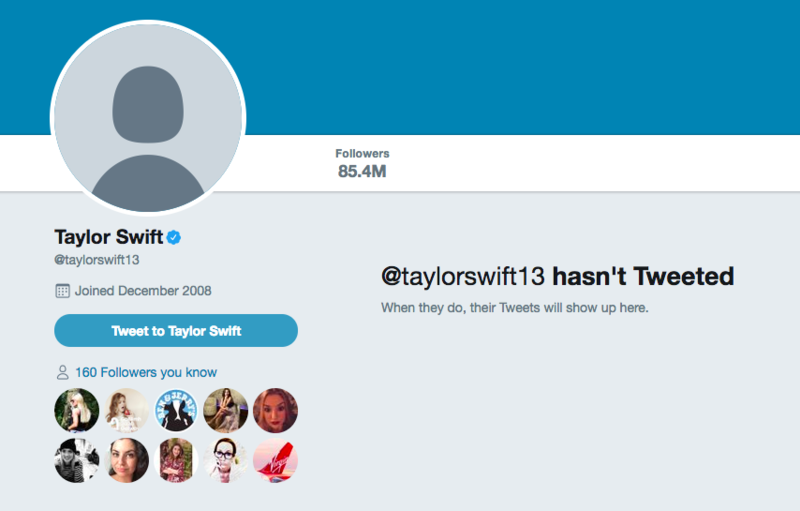 On this day, all of Swift’s social media profiles were wiped clean. All content had vanished: photos, videos, “about” sections, even profile pictures were gone. Then five days later, she posted short videos of what appeared to be a slithering snake on her social media platforms. This could only mean one thing: Taylor Swift was back. On Aug. 23, Swift announced that she would be releasing a new single the following night, and that her new album would be released on Nov. 10. Finally, after years of waiting, the world was going to have fresh Taylor vibes and lyrics to relate to. Her single took an unexpected turn, however. It was dark. It was angry. It was furious. It’s nothing like Swift’s old songs. But when her music video dropped at the MTV Video Music Awards the following Sunday, the hype became even louder. It seemed every detail was symbolic of who she used to be up until three years ago. And it was a clear message that the old Taylor is dead, and a new Taylor — a darker, stronger Taylor — had arrived. Swift then announced on Sept. 2 via Instagram Stories to tune into the Alabama vs. Florida State college football game. She didn’t say why, but it wasn’t surprising when she released a new song. Only this song was released to a hype video for the game. “Anybody who follows sports and pop culture knows that was the biggest hype game and powerful season opener in years,” said Kenon Brown, a public relations professor at The University of Alabama. “You had the audience, which was huge but also extremely widespread — people who were familiar and not familiar that could be college football fans and get the first exposure. An extremely different audience caused the perfect opportunity to drop something,” he said. Taylor Swift the artist has been around for longer than a decade and is no longer just a 16-year-old country singer from Reading, Pennsylvania. She was in the public eye for 11 years, and by removing herself from the spotlight, she knew her return would gain traction. “She took the complete opposite route and went dark. Her fan base knew this was something big, not what it was, building the anticipation and buzz. She went against the gold standard of hit them hard and hit them with everything. Silence is sometimes more effective than noise,” Brown said. Silent she was. For three years, she didn’t say a word. But then, she decided to come back swinging. What was her strategy behind it? Haeffner also said that one of the trends in the music industry is to use videos and social media campaigns that are engaging for fans. Audiences love to feel like insiders, and getting to peek into the lives of artists firsthand through social media (especially video content) is a valuable marketing strategy. After all, in an era that is constantly changing due to technology, artists like Swift will have to find ways to stay relevant.